We tend to assume, do we not, that headstones are erected soon after the deceased is laid to rest. 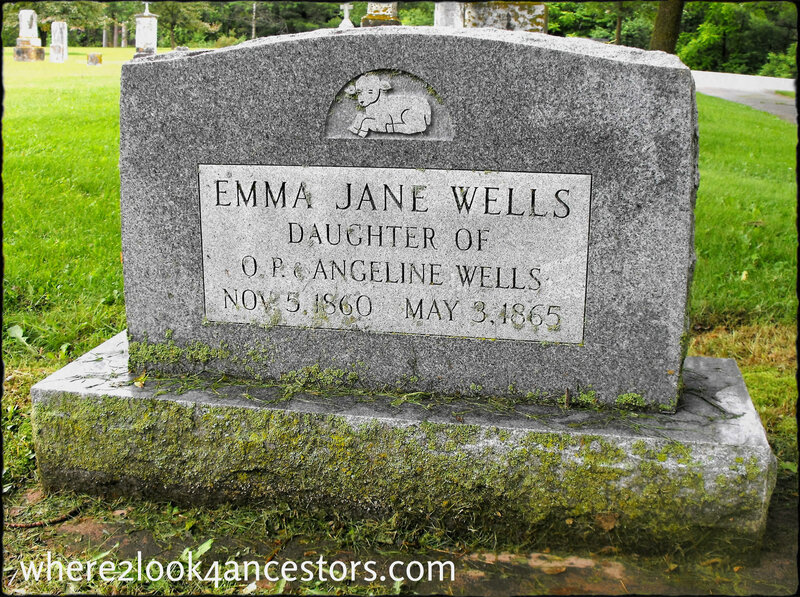 In some cases however, a descendant has a headstone put in place long after the death occurred. And this dear readers, is a wonderful clue that another family historian may be lurking about. So when a headstone looks too “new” for the era in which the death occurred, take note. It could mean there is a a family history collaborator in your future! I don’t think I would have thought of that. You are probably right. But that is a big expense! Absolutely, quite an expense to take on if you aren’t connected to this child. Perhaps several family members pooled their resources? Sought the help of a genealogical or historical society? You’ve given me more options to ponder!